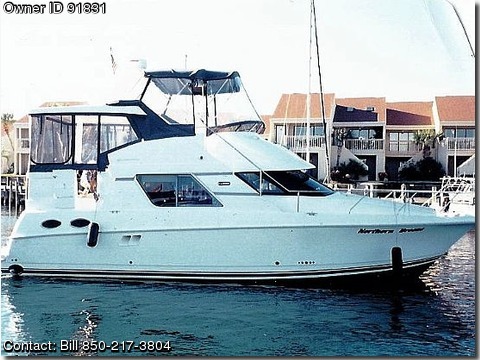 Call Boat Owner Bill @ 850-217-3804. Always moored in a covered dock. diesels with only 650 hours. Two TV's, stereo with CD, AMFM. hydraulic steering, huge helm seating for 7.
full heads with sink and shower. area at the Lighthouse Point Yacht Club Aurora, Indiana.